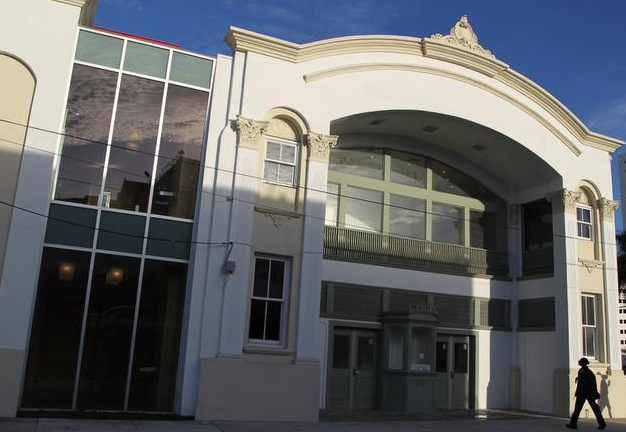 The Lyric Theater in Miami's Overtown community is one of the only theaters left from the days when the neighborhood was known as "The Harlem of the South." The neighborhood's rich history includes Booker T. Washington High School, the first school to educate black students south of Palm Beach. Eatonville, a city 20 minutes away from Orlando, is also featured in the tourism ad campaign. Eatonville was the first incorporated black municipality in the country. According to the state tourism agency, Florida is the top traveling destination for African-Americans. The two 60-second commercials will air across national and cable networks in Atlanta, New York City, Chicago, Philadelphia, Washington D.C., Detroit and Dallas. Will Seccombe, president of Visit Florida, said the campaign would introduce a broader audience to Florida’s history and neighborhoods. “In addition to its 825 miles of beaches and enviable theme parks, Florida is home to an abundance of culturally relevant hidden gems – from the earliest settlement of free Blacks in America to the vibrant music and artistry surrounding the ‘chitlin’ circuit’,” he said. The Greater Miami Convention and Visitors Bureau (GMCVB) and Big Bus Miami today announced a new tour route that will take passengers on a trip through the historic neighborhoods of Overtown, Midtown, Design District, Downtown Miami, and Wynwood.